Occupying Halls 9 and 10 of the NEC Birmingham, and organised in association with the SMMT, this annual trade event recognises the strength of UK Automotive sector, and offers a trusted platform for the UK automotive supply chain and aftermarket suppliers. Multiform's unrivalled capacity and ability to work to very specific and close tolerances (utilising traditional and stand-alone processes) has seen the company support and develop the Medical Device sector more and more over recent years with exceptional results. With the ability to produce components from 0.25mm upwards such as cold headed pins and wire forms running at circa 25 million components a week to low volume prototype and early development trial pressings and components Multiforms as built strong and lasting relationships with Global Medical Device manufacturers. 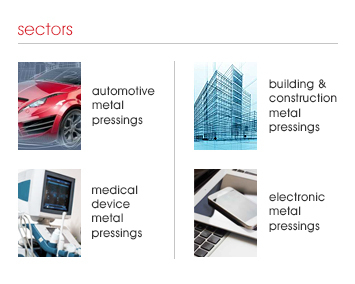 Multiforms competes well supplying a variety of components manufactured using the following methods of manufacture.